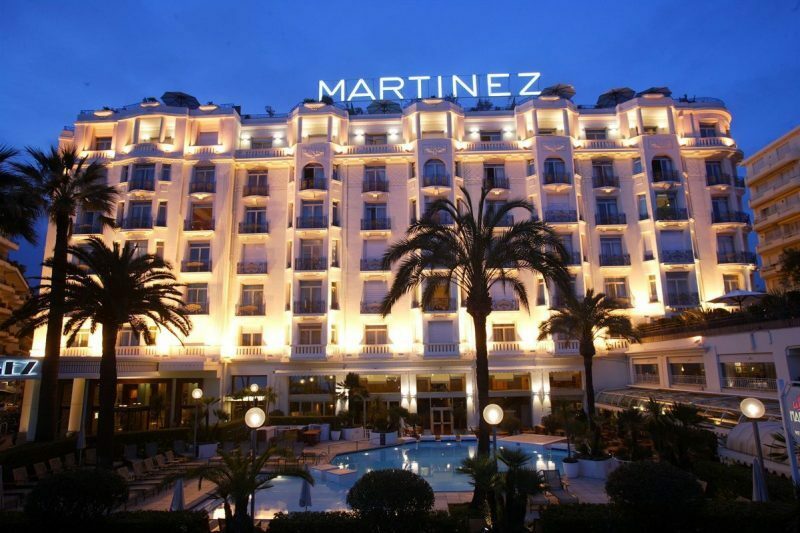 In the first of our series featuring on some of France's top hotels, we take a timely look at Martinez Hotel - one of the main social hubs of the forthcoming Cannes Film Festival. 73 La Croisette, 06400 CANNES, France. Wow! Towering gilt upon white. In a famous street where you expect to see a lot more in the way of the typical palace hotel, this fits the palatial bill. Cars glide in to the roomy forecourt and ladies and gentlemen emerge. When it was built in 1922, it was the biggest in the region. Since then, it has been used as a temporary base for Allied soldiers during the WWII, but it has always kept up with the highest standards – undergoing renovations on a regular basis while maintaining its original art deco style. The latter is in evidence throughout the interior and exterior, as well as in the natty/austere dress code of the doormen. Who do We Know has Stayed There? Being located on the main drag in the Cote d’Azur’s Tinseltown, it draws members of the rich and famous community like honey draws the bees. It’s Woody Allen’s favourite place to rest his weary head when he finds himself down here. Eva Longuria, the late Yves Montand and the lovely Sophie Marceau have all made the Martinez their home at one time or another, with many of them finding it difficult to resist coming back again and again. Do They Look After You? Do they what! From the moment you step through those large lazy revolving doors and into the vaste shiny-floored space of the reception area, you know you’re going to be pampered. The smart efficient bell-boy, the amusingly droll and incredibly knowledgeable concierge, the ivory-toothed Afro-American ivory tinkler with a wink a tune… they’re all here like characters from an upmarket Agatha Christie novel waiting to make life for the guest float along smoothly on the wave of glamorous legend that pervades the atmosphere here. It’s the only hotel of its standard along the Croisette that has its own swimming pool as well as its own private beach. There are 409 rooms altogether. The lowest grade is “superior” with views to the rear of yard, some railway track and some wistful-looking mountainside. But even here, the attention to detail is superb, with quality art deco furniture and high quality landmark art works on the wall. At the upper end of the scale are the suites. The largest one is really two that conjoin to make a huge super-suite occupying the whole south-west corner. Legend has it that there are those who regularly shell out €15,000 per night for the privilege during Film Festival week. For that, they get a really smashing place with its own doorbell, corridor, office, sauna, steam room and a very huge bedroom/living room are that gives direct access to the absolutely enormous balcony outside through two French windows. A large universal remote control device controls all the electrics in the place, making you feel very much like James Bond and/or Bond Girl. The gargantuan television is at the end of the gargantuan bed and emerges at a click from its large box. One of the highlights is the fact that it has its own 2-Michelin-star restaurant – the Palme d’Or. 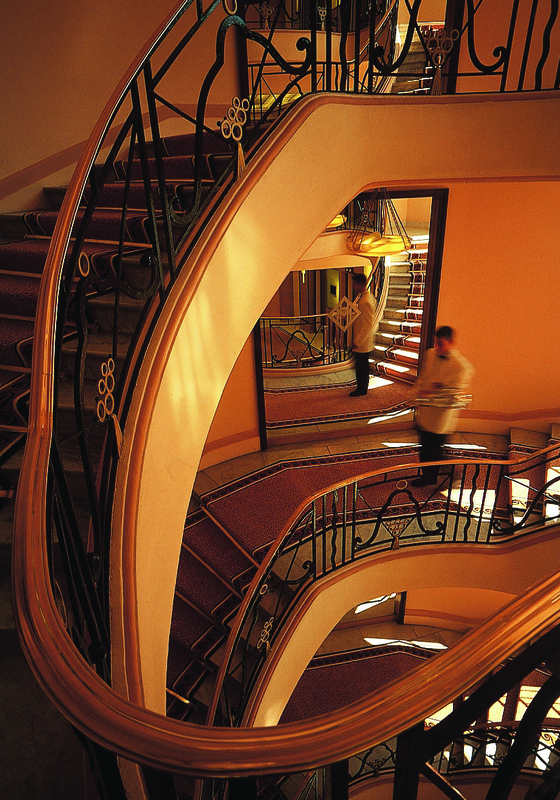 Access to the first-floor restaurant is via an exclusive lift that appears to have had its interior almost entirely gilded and in which you partake of your short journey accompanied by an equally glittering lift attendant. 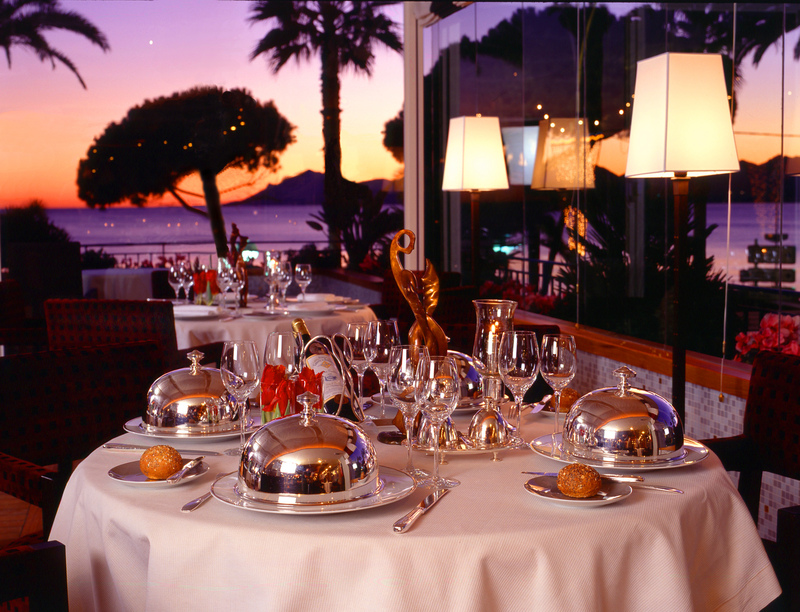 The level of food and service is as astonishing as you would dare to expect of such a place and the restaurant’s location make it a perfect place to enjoy an evening meal in Cannes – taking in the beautiful view but seated above the crowds. The Martinez regularly features in surveys that put it at the top of the league of the most expensive suites in the world. The corner penthouse suite apparently fetches a price in the region of €16,000 per night during the peak week of the Cannes Film Festival. Out of season, you can expect to pay about €1,500 for the same facility and about €80 per night for the lowest standard room (which has a view of the hills, but which is still of a superb standard). Watch out for deals on their website that pop up regularly. You mention the festival, remember to book well in advance if you want to stay there in May. I’m talking 4-5 months in advance.